A Manhattan man is alleged to have stolen $1m in cryptocurrency from a Silicon Valley executive in a classic SIM swapping attack. Nicholas Truglia, 21, allegedly targeted several victims including Saswata Basu, CEO of blockchain service 0Chain Myles Danielsen, vice-president of Hall Capital Partners and Gabrielle Katsnelson, co-founder of startup SMBX. He was apparently able to hijack all of their mobile phone accounts, convincing carrier staff to transfer their numbers to new SIMs, but didn’t managed to grab any funds as a result. However, a fourth victim wasn’t so lucky. San Francisco father-of-two, Robert Ross, also had his account hijacked and this time Truglia was allegedly able to use it to access $500,000 in a Coinbase account and $500,000 in a Gemini account. Typically, this is possible because SIM swap attackers are able to intercept the two-factor authentication codes sent via text message to ‘enhance’ account security. Truglia was arrested at his West 42nd Street high-rise apartment where police were able to recover $300,000 in stolen funds. He now faces 21 counts related to six victims, according to reports. The case highlights the growing pressure on mobile operator staff to ensure they carry out the appropriate identity checks on the phone or in store, when individuals request numbers to be ported to new SIMs. However, sometimes the scammers may get help from individuals working on the inside. In short: Sikur has announced that its SikurOS is now compatible with all Android smartphones, and it is also launching two highly secure smartphones that are based off of Sony’s more popular devices – the Xperia XZ1 and XA2. In fact these smartphones, even share those names as well. With the SikurPhone XZ1 and SikurPhone XA2. 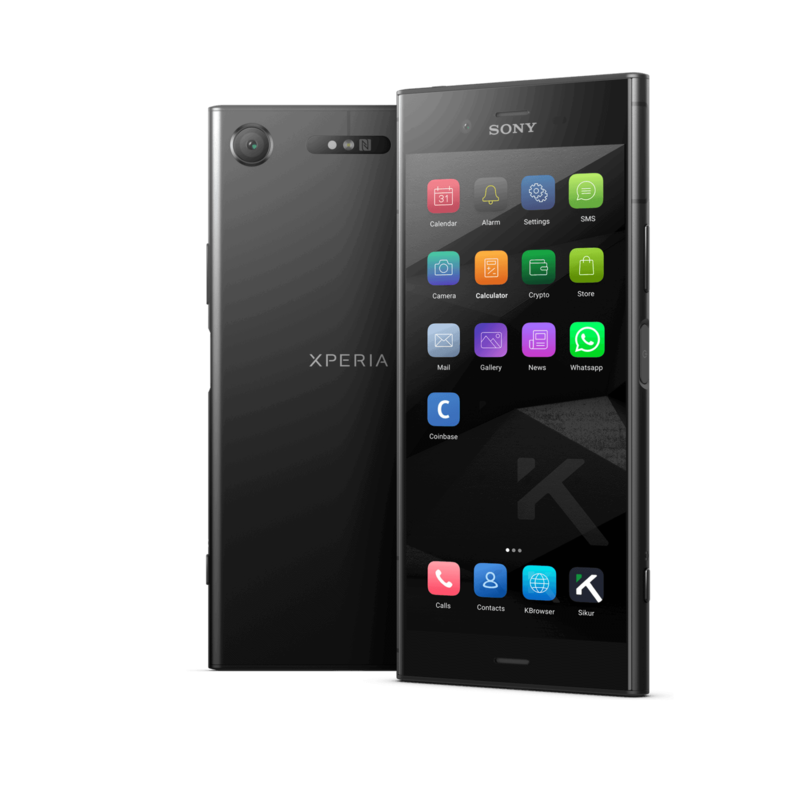 The hardware is the same as when Sony debuted these smartphones back in 2017, the only difference is the fact that it runs on Sikur’s highly secure Android software. Both of these devices have “several layers” of security, and it also has a pretty locked down app store. You cannot install third-party apps using the Unknown Sources feature that you would find on other smartphones. There are very few apps that are compatible with Sikur’s software. Sikur also has a cryptocurrency wallet, so if you are the type that owns some cryptocurrency, the SikurPhone is going to keep it nice and safe and away from hackers. Background: Sikur announced the SikurPhone back at Mobile World Congress in February. It’s not a fancy looking phone, but it does have a purpose. It’s pretty locked down, as you might expect, and it is also running on an older version of Android. This is because it is very heavily customized. This operating system is not meant for those that would ordinarily buy a Samsung Galaxy smartphone or even an LG smartphone, but it’s for those that want a secure smartphone, those that want to store their cryptocurrency on their phone. So it’s a pretty niche market here, but Sikur is doing a good job at offering a few different options for those that do want a secure smartphone. But the person receiving that text could be a hacker. Criminals are using a method known as “SIM swapping” to take over phone number accounts by duping wireless carriers, and in some cases stealing millions of dollars worth of cryptocurrency. Terpin is hardly the only one to suffer a hack. The total in cryptocurrency lost by individuals hit $1.6 billion at the end of June, according to CoinDesk’s 2018 State of Blockchain Report. After a criminal hacks into the person’s email or cryptocurrency account from their own devices, what’s known as “two-factor identification” will send a text code to the phone number as a form of security, and to prevent any sort of unauthorized log in. But because the hacker now controls that phone number, there’s no way of the rightful owner regaining control or stopping the hack. A U.S. investor filed a $224 million lawsuit against AT&T on Wednesday, accusing the telecommunications giant of negligence that allegedly caused the California resident to lose roughly $24 million in cryptocurrency. After the first hack, Terpin alleged that an impostor was able to get his phone number from an “insider cooperating with the hacker” without an AT&T store employee requiring him to show valid identification or provide a required password. That phone number was later used to access Terpin’s cryptocurrency accounts, according to the complaint. “What AT&T did was like a hotel giving a thief with a fake ID a room key and a key to the room safe to steal jewelry in the safe from the rightful owner,” the complaint alleged.